A primary question in contemporary poetics is whether to write for the page, the stage, or both. It is often evident at our local open readings which choice the authors have made for their poems, and sometimes for the main body of their work. Given the potential powerful effect a poem can have, we at BAFS feel it is necessary to understand and control our influence on an audience. By what mechanisms does the page translate to the stage? Can a piece written for the stage be as powerful on the page? Further, given the current tense political climate, it may become necessary for Poets to take the Streets as well as the Stage. What is the responsibility of the oratory poet in modern society where the presumed checks & balances can now be ignored or bought? In order to appropriately consider these questions, BAFS Summer Poetry Camp will take place in four stages. The first will be our Introductory Weekend over the ‘Independence’ Day holiday at Boulder Writers Warehouse. This will be a great time for those new to the Skool to become acquainted with our practices and jargon. Also notably Jack Collom will be offering a free workshop over this weekend. 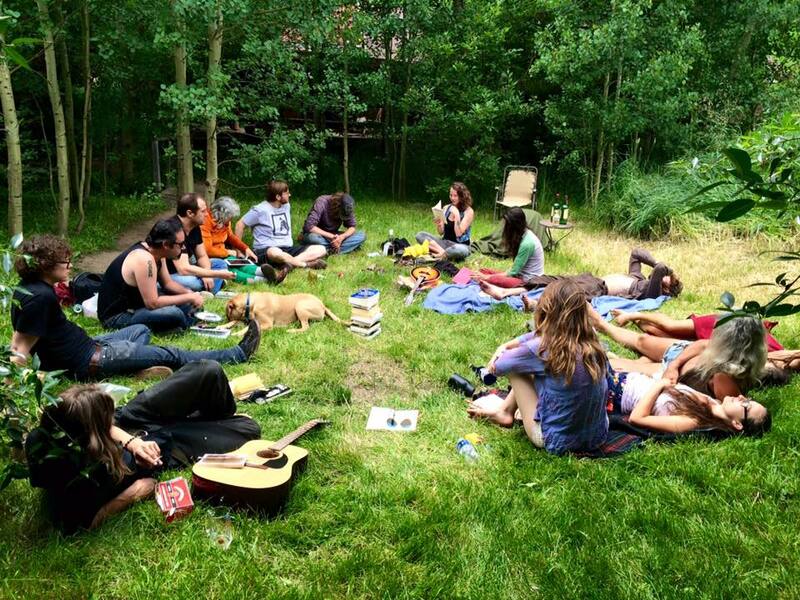 Beginning July 7th, ten days of intense writing will start at Love Shovel Ranch with the Performance & Collaboration weekend, including the notorious Drunken Haiku Competition and ending with the Full Moon Alley Howl in Boulder. Our Forms Week will follow, where we will begin working with Storytelling and delve deeper into Flash Fiction, among other ideas. Our final weekend will focus on Esoteric Practices & Activism, with the high point Saturday night of the annual Black Market Translation ‘improvisational punk’ dance party. Some things are worth fore-noting. Both the Storytelling and Flash Fiction workshops are two-part classes; please be prepared. There will be a BAFS Teacher Feature on the 10th, and a BAFS Student Feature on the 17th, both at the Laughing Goat in Boulder. Most workshops occur in the afternoons, but there are numerous nighttime events as well. Camp schedule is subject to minor changes until mid-June, all course descriptions will be posted by end of May. Please read the Camp FAQ below. Andy Clausen, Matt Clifford, Jack Collom, Eric R. Fischman, Roseanna Frechette, Marcus If, Ira Liss, Clint A. Locks, June Lucarotti, Caitlan Mitchell, Thomas R. Peters Jr, Nancy Stohlman, Pamela Twining, and Cooper Braun & Rachel Ann Harding. Sunday, July 23rd: Love Shovel Review Collage Party — OTHER STUFF? Layered Clothing. Bikini one minute & rain parka the next. Nights are chilly. There is No Smoking inside the Boulder Writers Warehouse. Tax free donations to Beyond Academia LLC are humbly appreciated!